Learn how to enable 100% visibility of both shelved and kitted medication inventory stock in hospital and health system pharmacies. No cumbersome workarounds or "black holes"
This white paper outlines the benefits of hospital pharmacy automation with innovative RFID healthcare technology, specific to providing 100% inventory visibility of medication inventory stock (both shelved and kitted), without manual staff intervention. Download the "Using Advanced RFID to Support Medication Inventory Oversight of Shelved Stock in Hospital and Health System Pharmacies" white paper today to learn more. 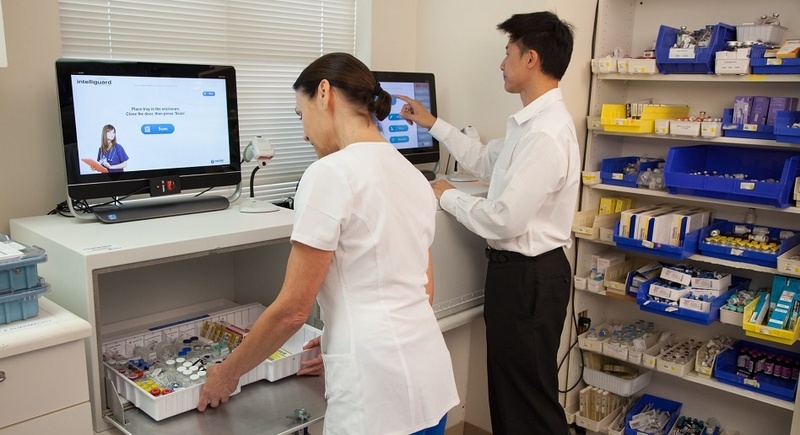 Learn more about RFID to support 100% inventory visibility of medication inventory.